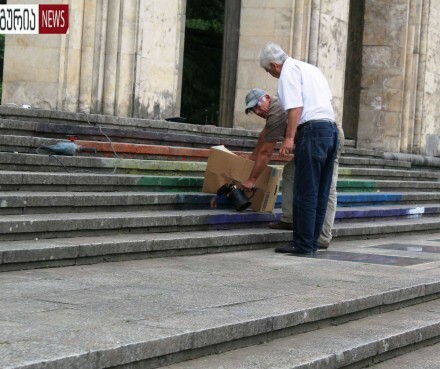 Tbilisi, DFWatch – Stairs of a theatre in Ozurgeti, administrative center of Guria, Western Georgia, was painted in rainbow colors on May 17, International Day against Homophobia and Transphobia (IDAHOT), Guria news reported. The next day stairs of Alexandre Tsutsunava Drama Theatre was cleaned up by the employees of organization municipal cleaning company. “Was that nice how stained it was? 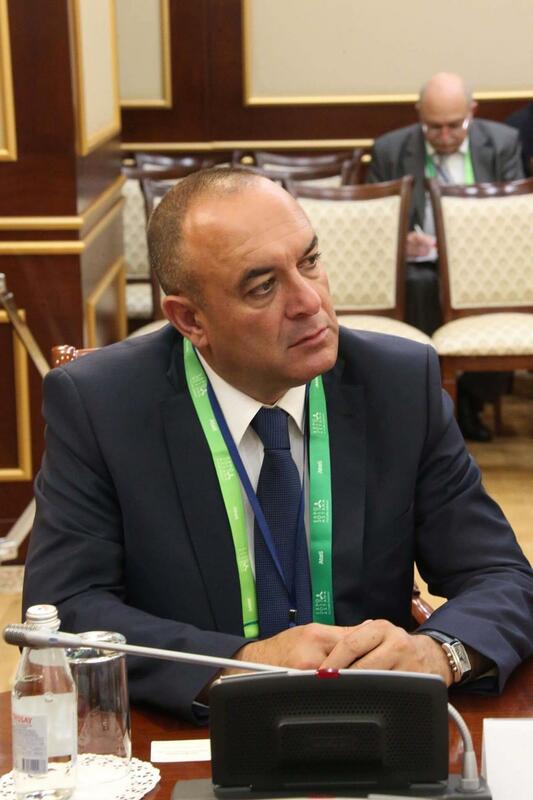 This is why we cleaned it,” a street cleaner was quoted by Gurianews. 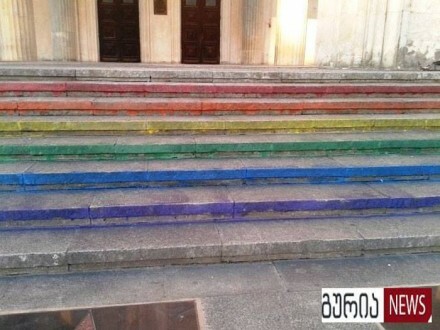 Two years ago in May of 2014 activists painted stairs next to Freedom Square metro station in rainbow colors. 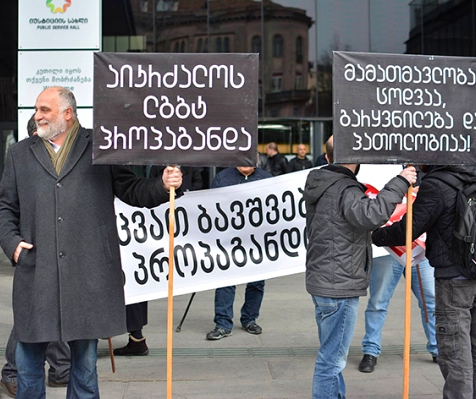 It was first year when Georgians marked so-called Family Purity Day instead of IDAHOT. LGBTQI activists didn’t hold outdoor rallies that year. Rainbow colors were cleaned from the stairs, which soon were renovated and refurbished. 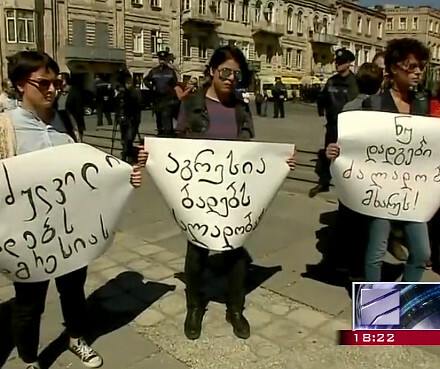 Yesterday ten activists were detained for applying stencils in the street and walls of patriarchate in Tbilisi. They have been released, while trials will be held on May 20 and May 30.